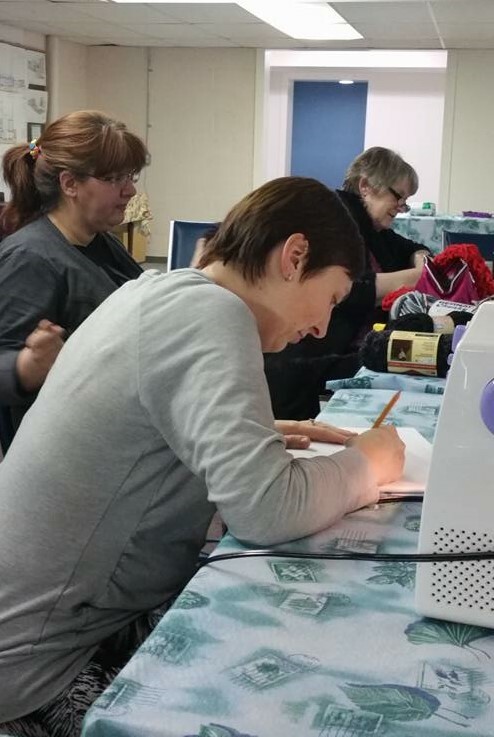 This group of ladies gets together the second Friday of the month to create, learn from and inspire one another. Drop by the church hall between 6:00 pm and midnight to join in the fun. There is no shortage of space for any project you may be working on – or any friends who may want to come along!